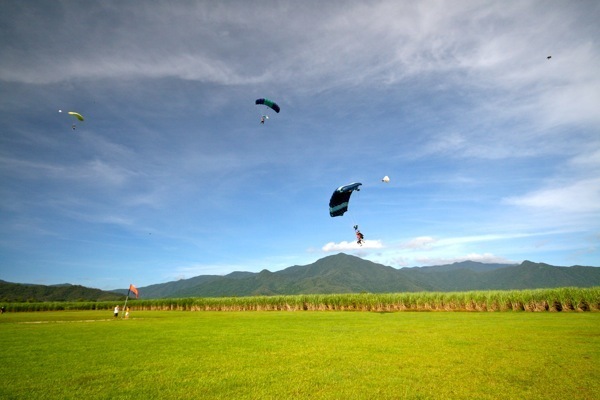 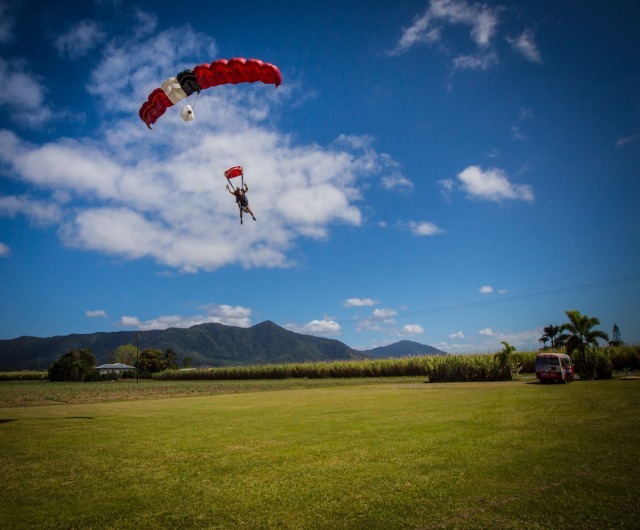 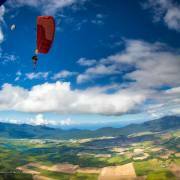 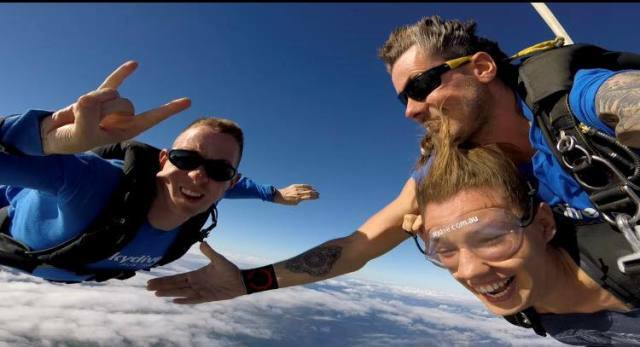 Skydive Cairns is the premier Tandem Skydiving company in Australia. 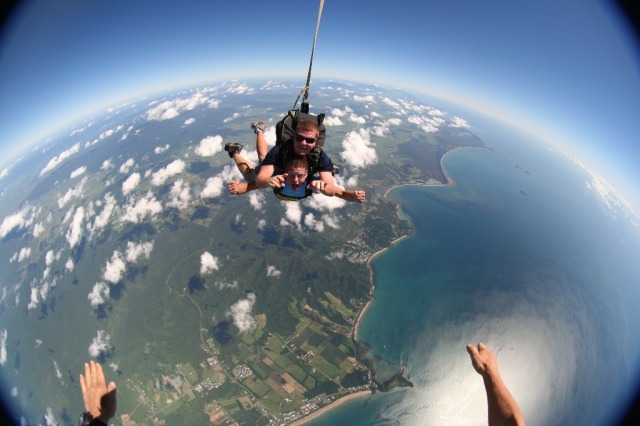 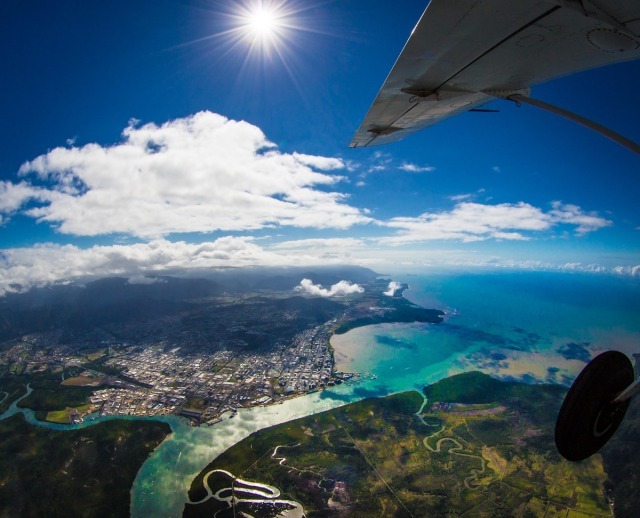 Skydive in tropical paradise with Skydive Cairns and it will become an unforgettable experience of a lifetime. 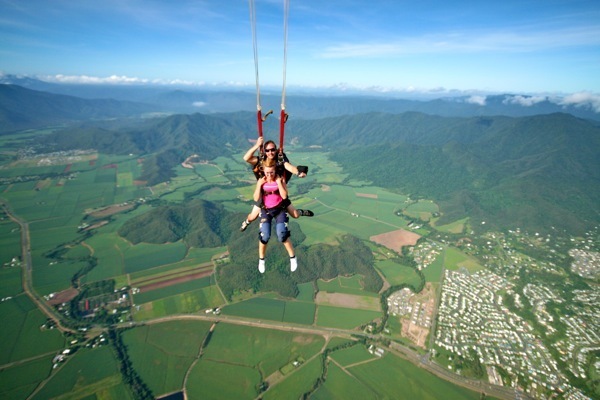 The Cairns drop zone offers warm tropical climate, spectacular views of the Great Barrier Reef and World Heritage Rainforests. 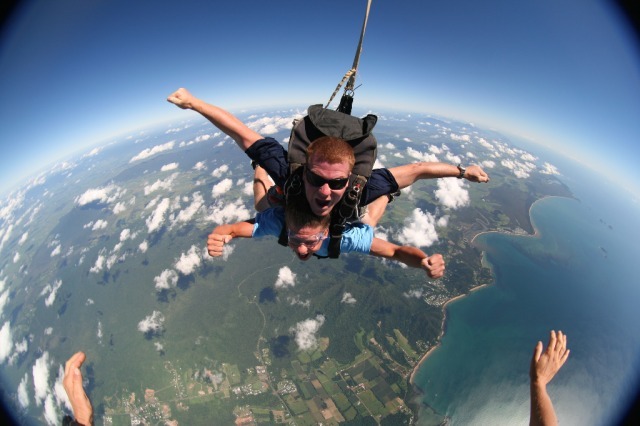 Jumping at a height of up to 15,000ft. 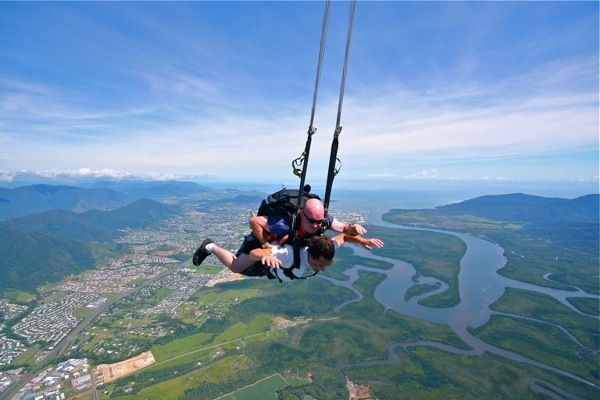 Reaching speeds of up to 220km/hr, you will rocket straight down for up to 60 seconds for a heart-stopping, life-changing free-fall! 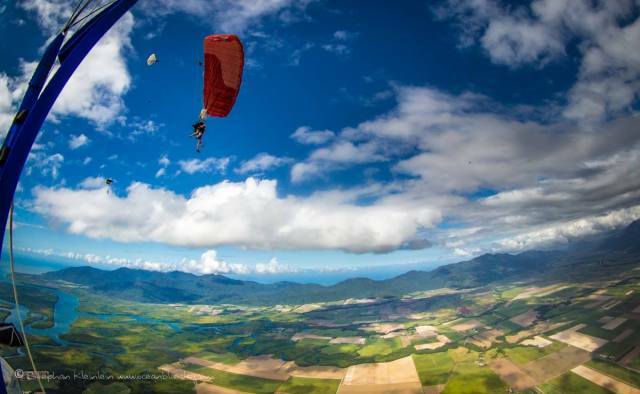 Get ready to open yourself to a whole new meaning of adrenaline. 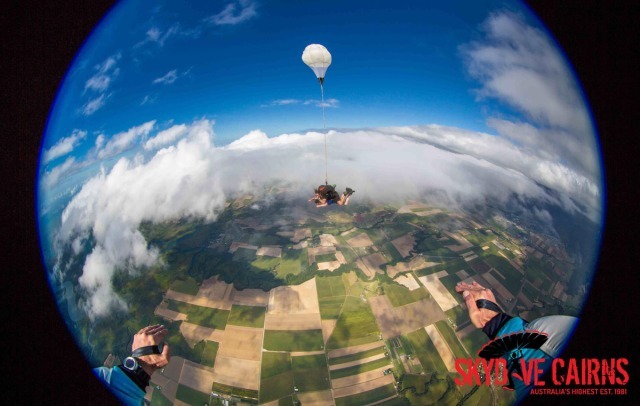 After your freefall experience, you’ll enjoy 5-6 minutes of spirals and turns under canopy. 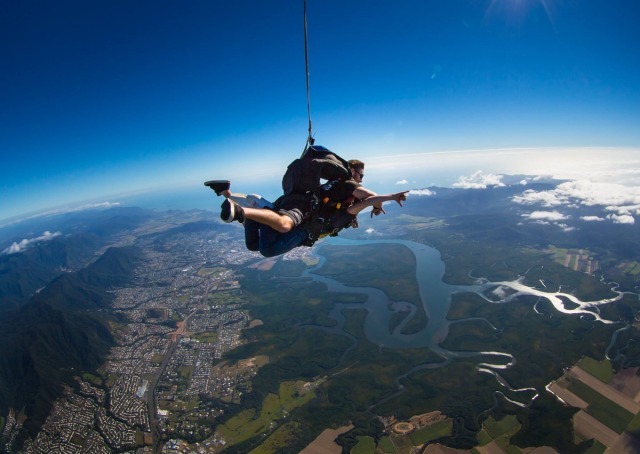 Session times commence from 07:30am, Once this session is full, they will open the next hourly session and so on. 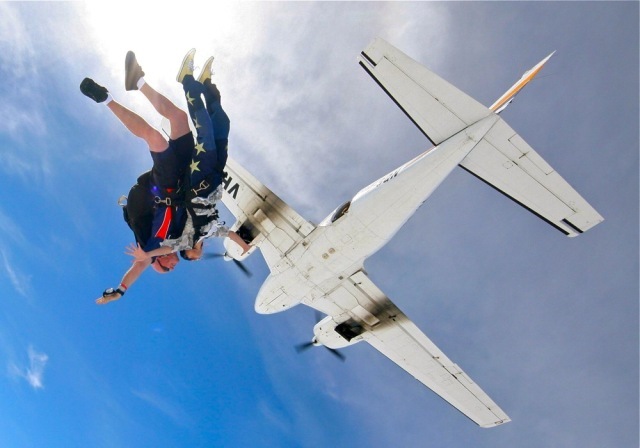 When Scuba diving before Skydiving, you MUST wait 12 hours if doing an intro dive not more than 10m deep and 18 hours if doing multiple dives. 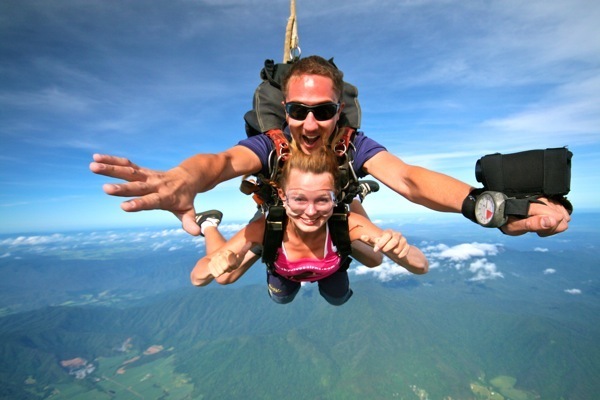 As skydiving is weather dependent, and departs from an international airport, you will need to set aside a HALF DAY (3 - 3.5 hours) for your skydiving experience. 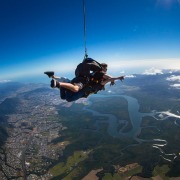 Comfortable casual clothes, shorts in summer and jeans or tracksuit pants in winter. 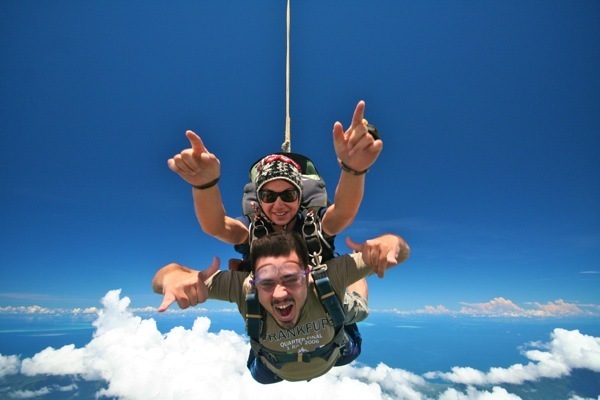 You may also want to bring a long sleeve t-shirt or sweatshirt. 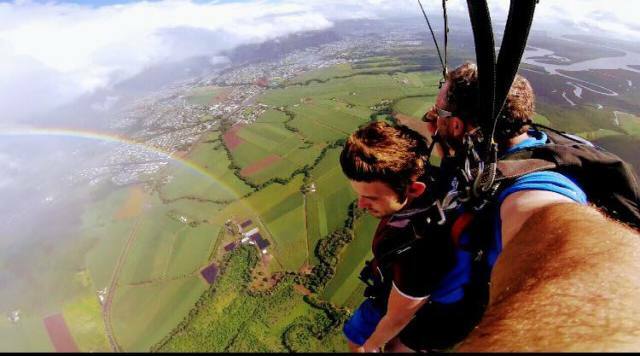 Closed in shoes are a must, sneakers or runners that lace up firmly are preferable (no hooks). 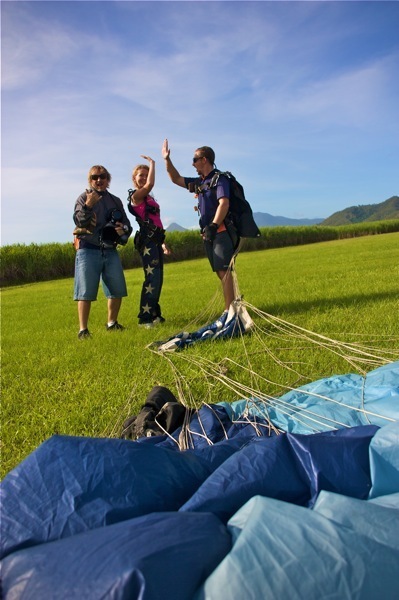 All of the staff made us feel welcome and relaxed from the moment they picked. 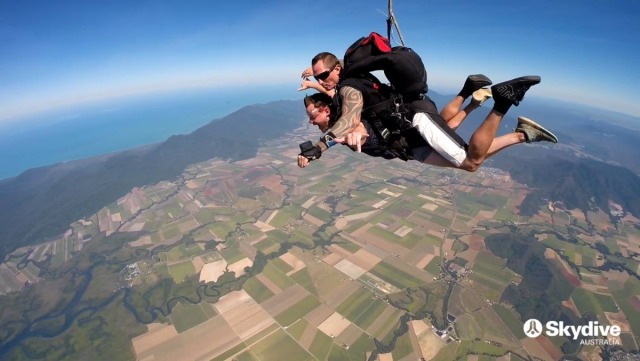 The jump was amazing, the DVD & photos fantastic keepsakes and the experience overall was excellent. 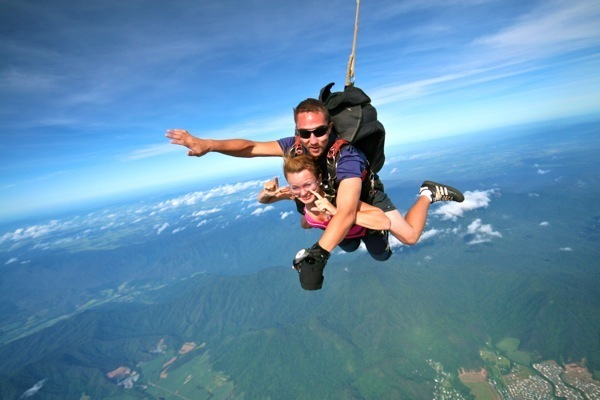 Would definitely recommend skydiving with Skydive Cairns.